Doing creative and revolutionary things with new technologies embodies the spirit of the SXSW Interactive Festival, and nowhere is this more evident than the diverse mix of activities at SX Create — from 3D printing to drones to biohacking and much more. SX Create is free and open to the public (with a Guest Pass), and kicks off at 11 a.m. on Friday, Mar. 13 and runs through 6 p.m. on Sunday, Mar. 15 at the Long Center. SX Create is comprised of three parts: the Hands-On Pavilion, Session Tracks, and Meet Ups. You can surely take the kids for some fun learning opportunities. You’ll find an amazing assortment of makers, creators, “thinkertinkers,” and community builders at this event. 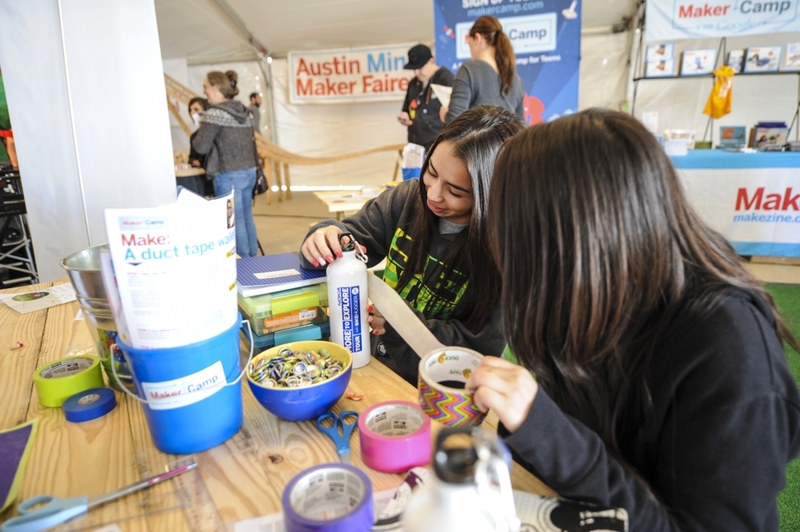 In addition to sponsor Silicon Labs, participants include SparkFun, Austin Mini Maker Faire, ATX Hackerspace, Girlstart, The Thinkery, HP, Raspberry Pi, Austin Energy, Dremel, The Edge of Imagination Station, and so many more. STEAM Meet Up with Girlstart — Saturday, Mar. 14, 3:30 p.m. Kids Maker Space Meetup with Kami Wilt of Austin Tinkering School — Sunday, Mar. 15, 11 a.m.
3D Print the Smithsonian with Adam Metallo, Brian Matthews, Corey Kilbane, Vince Rossi — Sunday, Mar. 15, 12:30 p.m. The Life and Times of a Young Innovator Today with Errett Kroeter, Shiva Nathan, Sunday, Mar. 15, 3:30 p.m. This event is open to the public with free Guest Pass wristbands, available in advance or onsite at the event. Guest Passes also give you entrance to the Gaming Expo, Flatstock, Auditorium Shores Stage and more. Click here to learn where you can pick up your free Guest Pass.